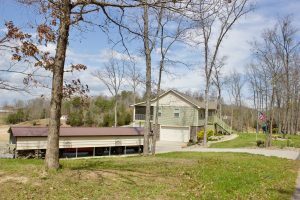 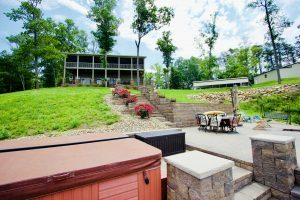 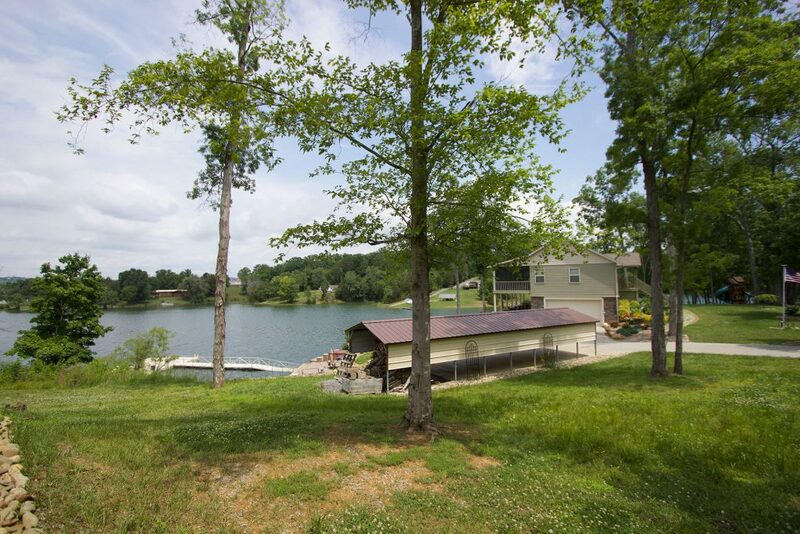 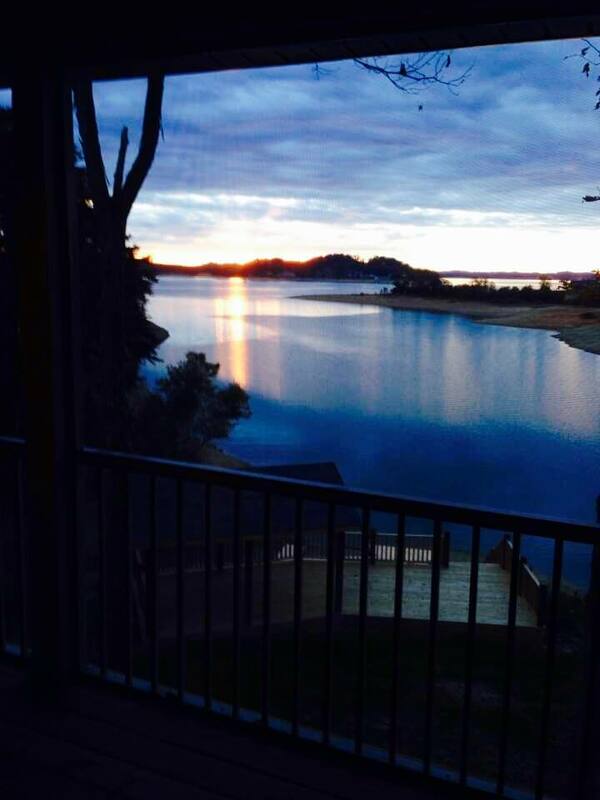 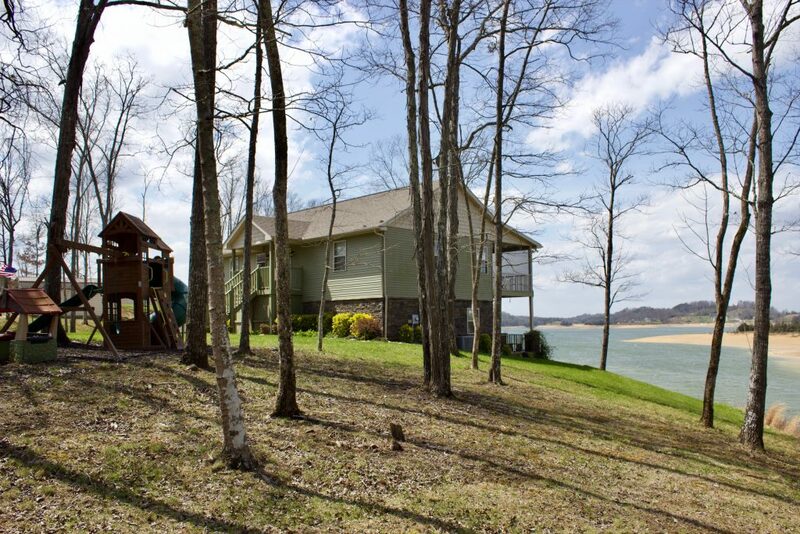 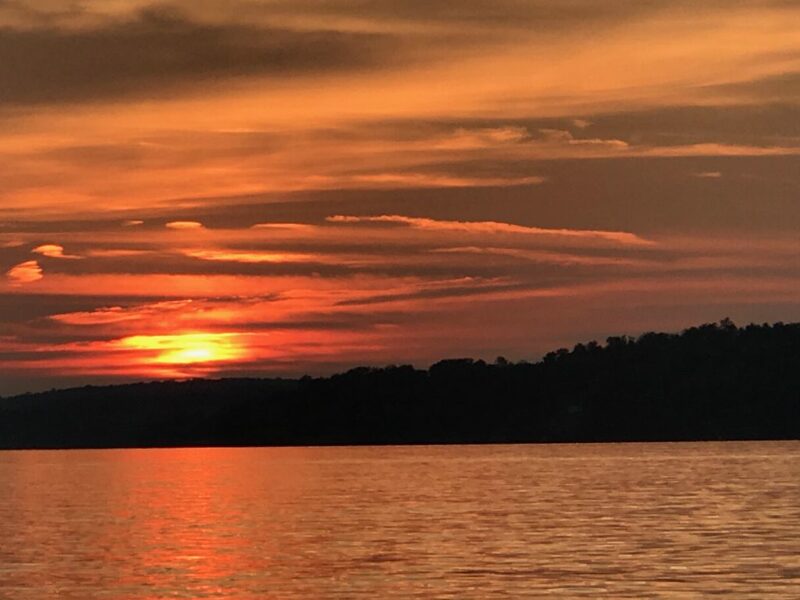 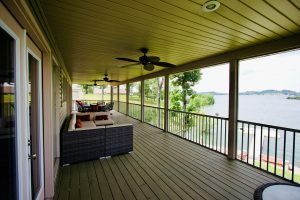 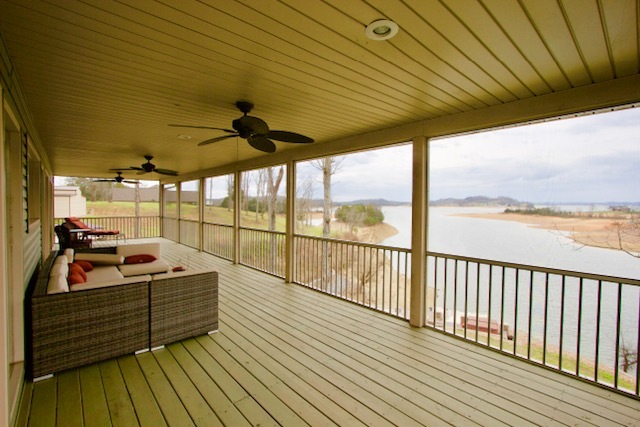 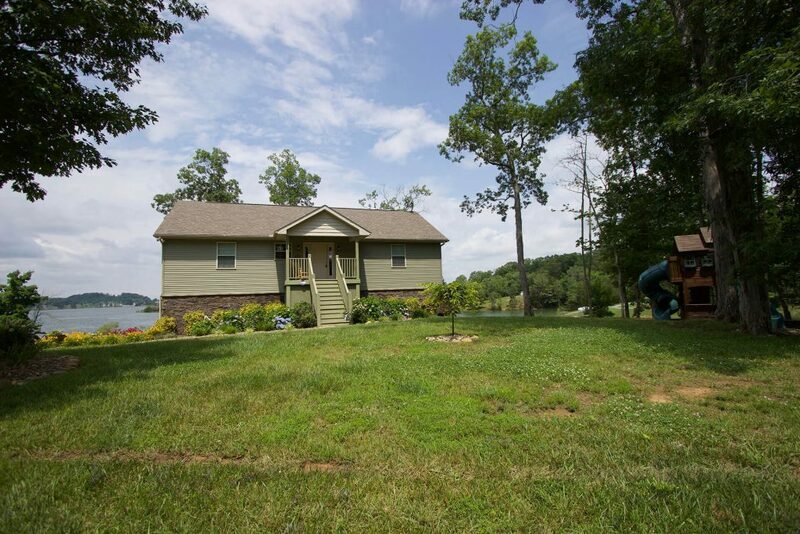 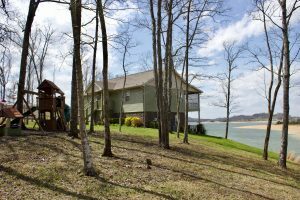 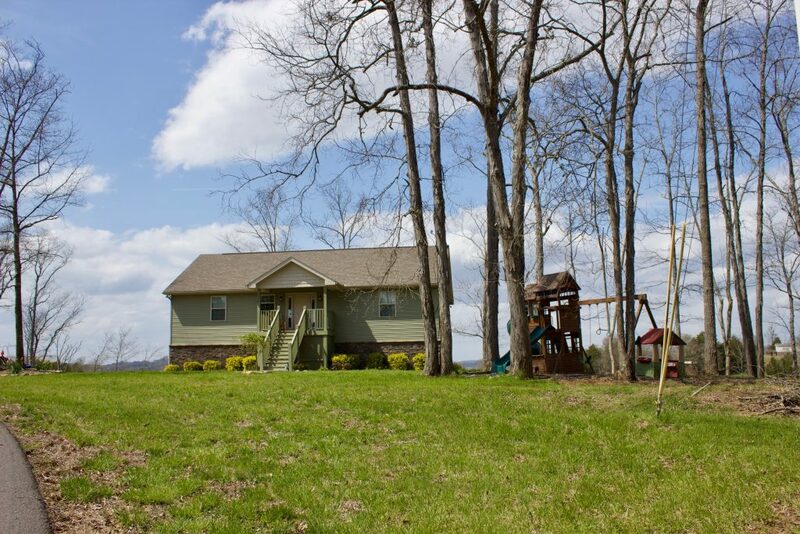 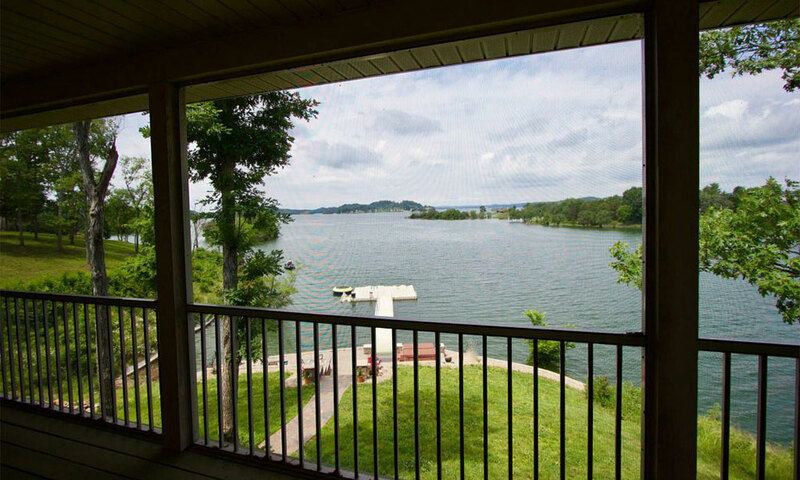 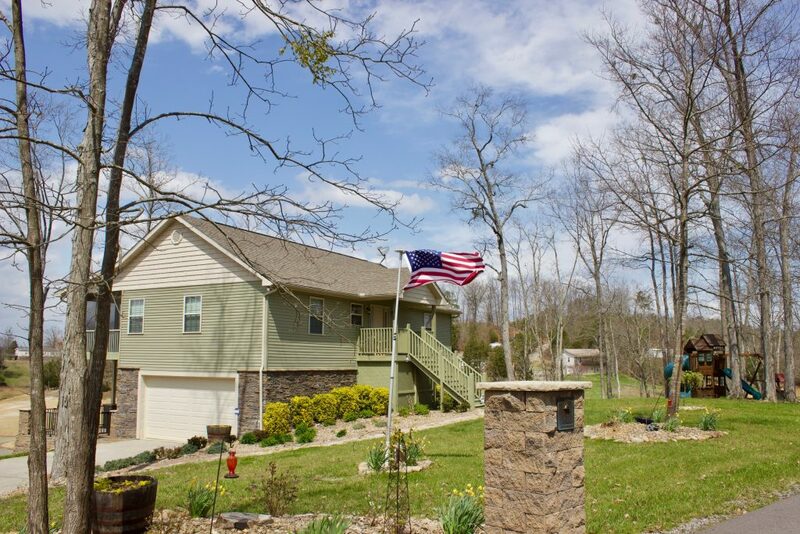 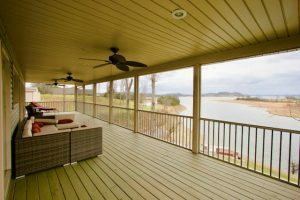 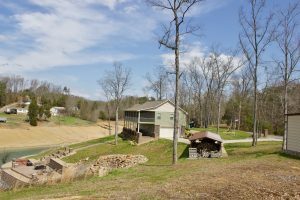 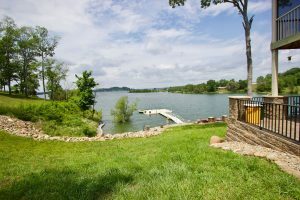 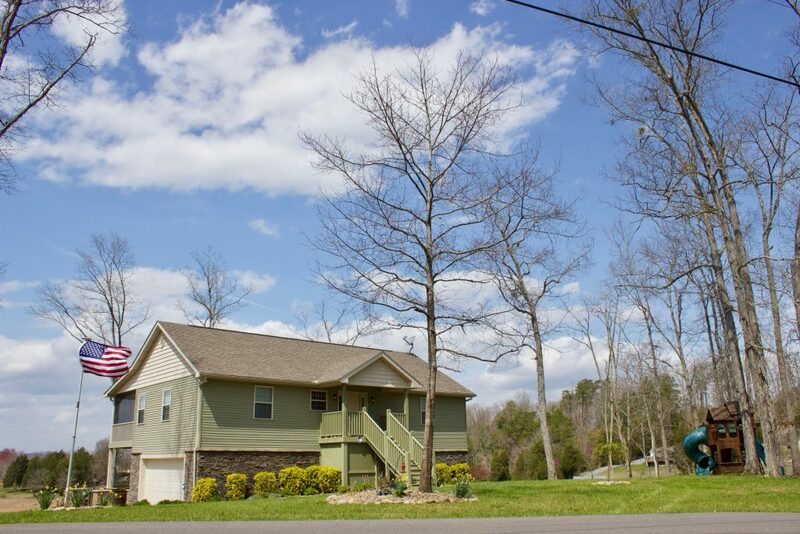 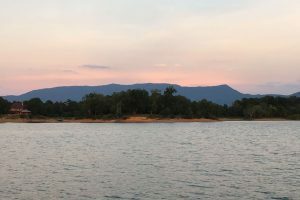 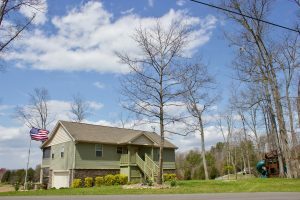 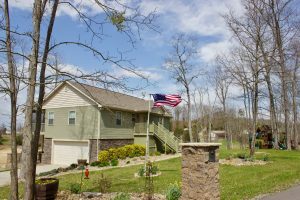 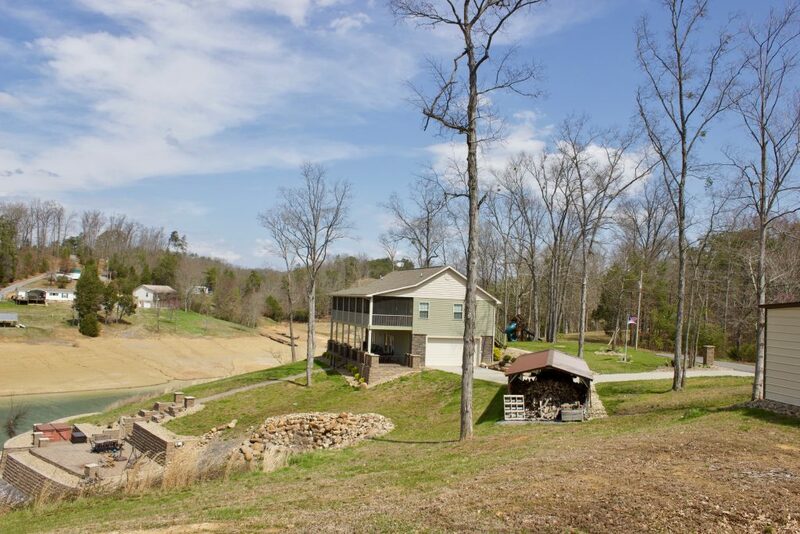 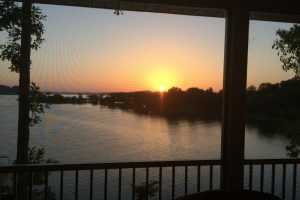 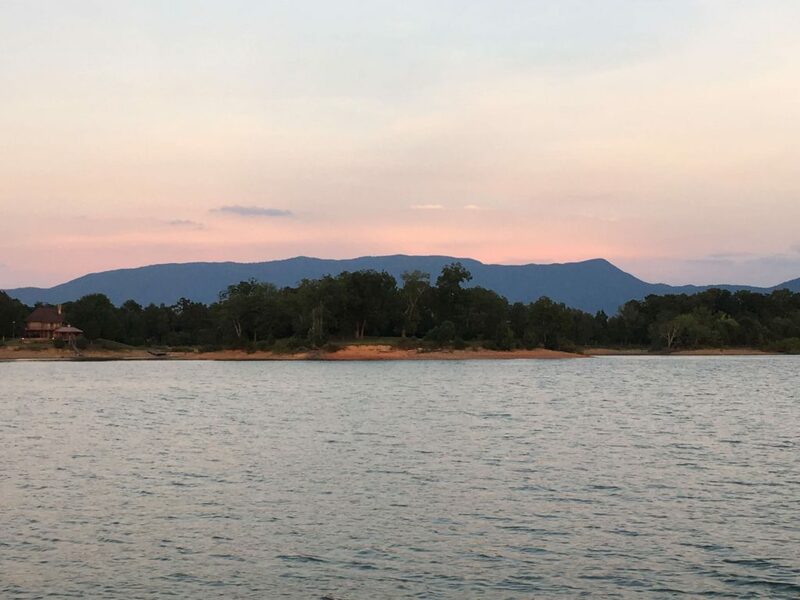 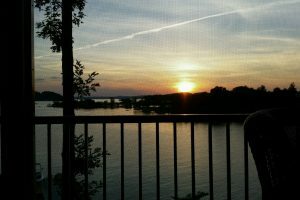 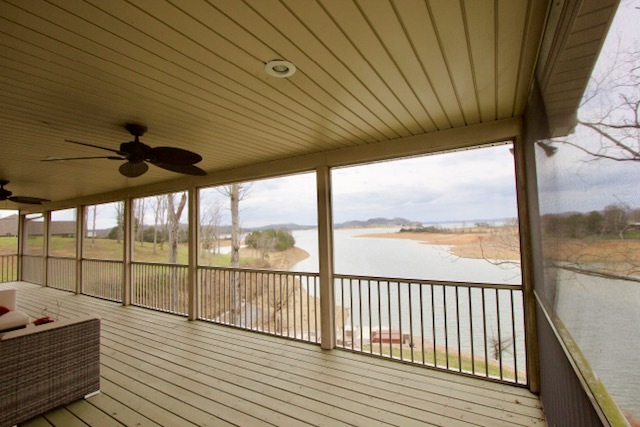 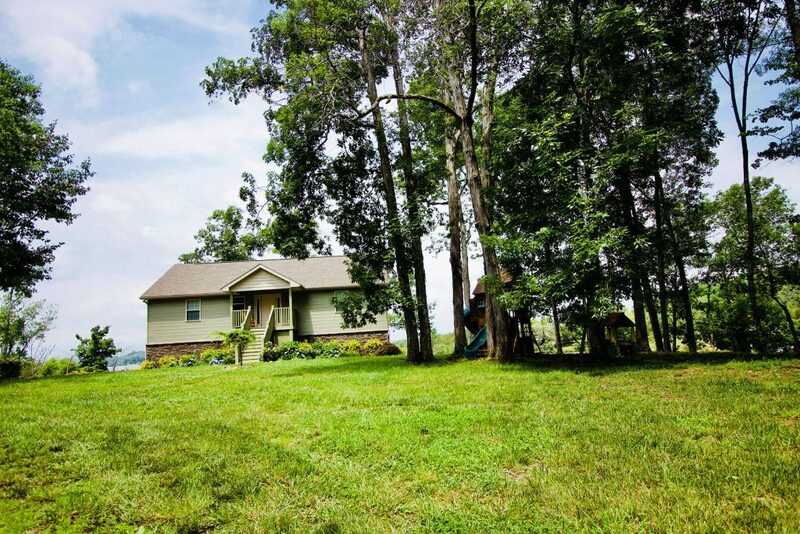 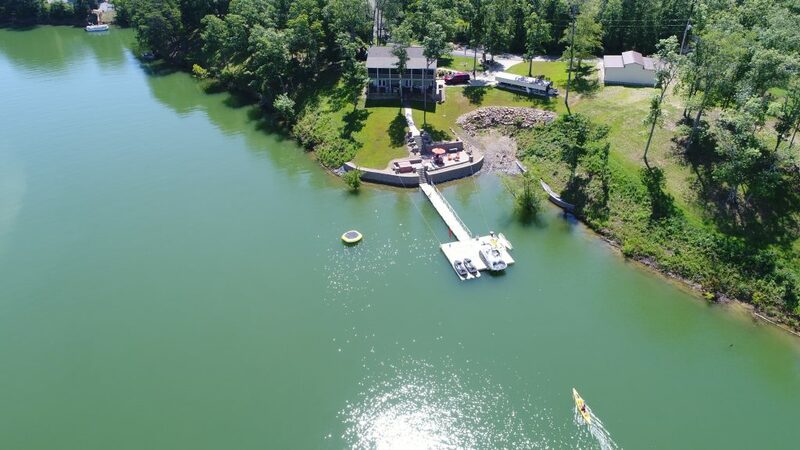 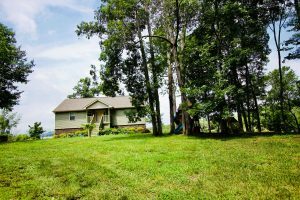 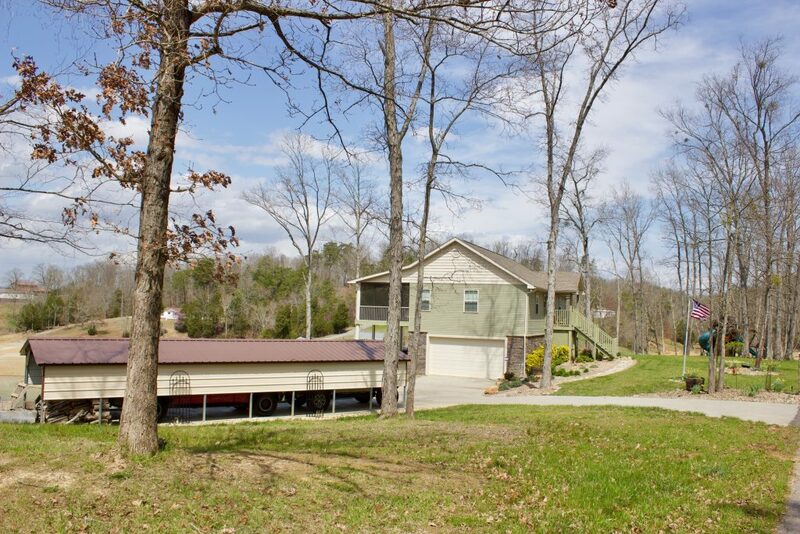 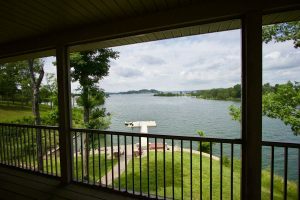 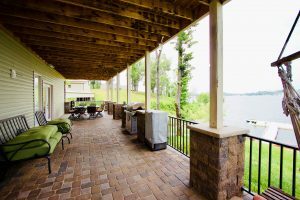 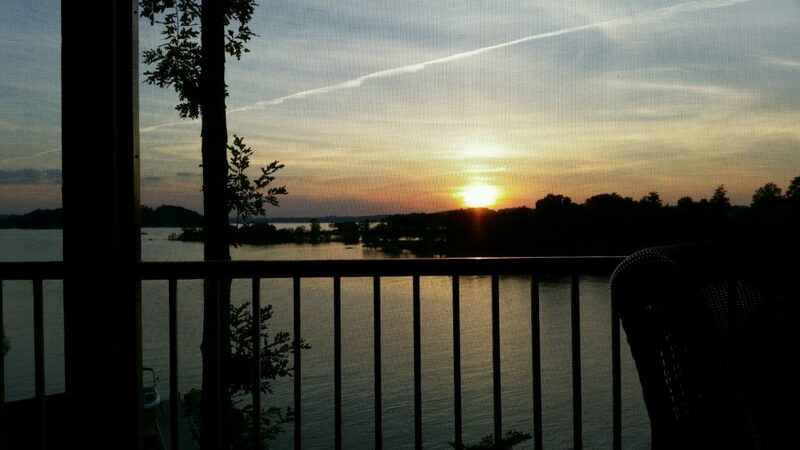 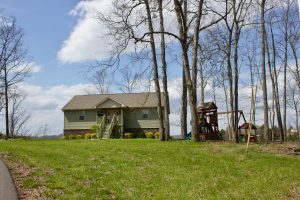 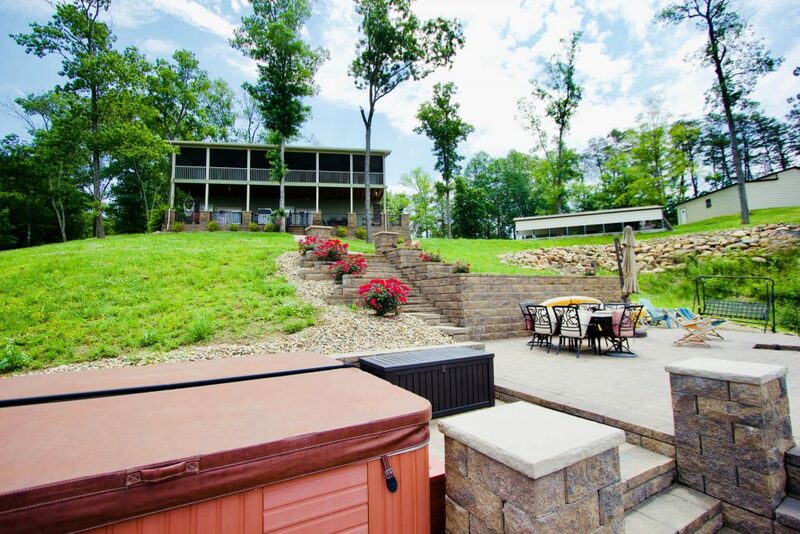 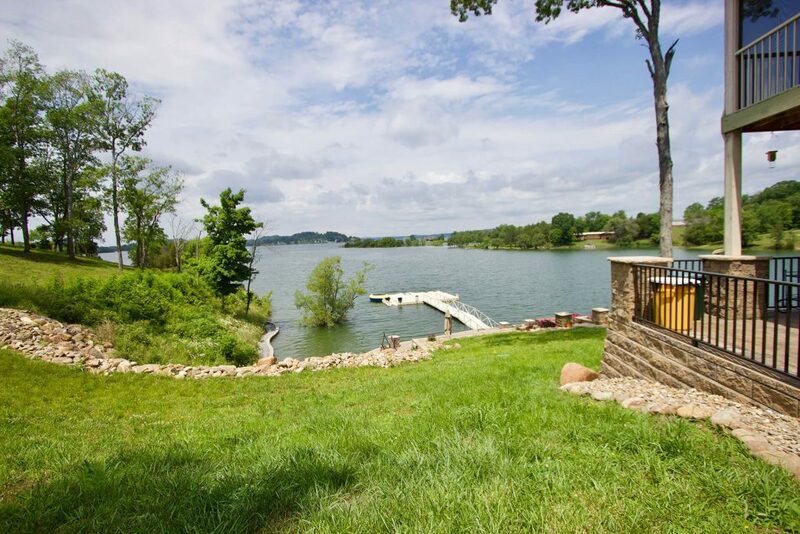 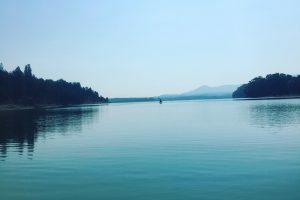 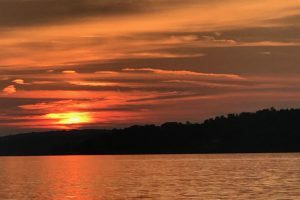 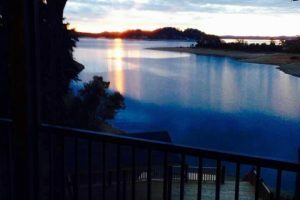 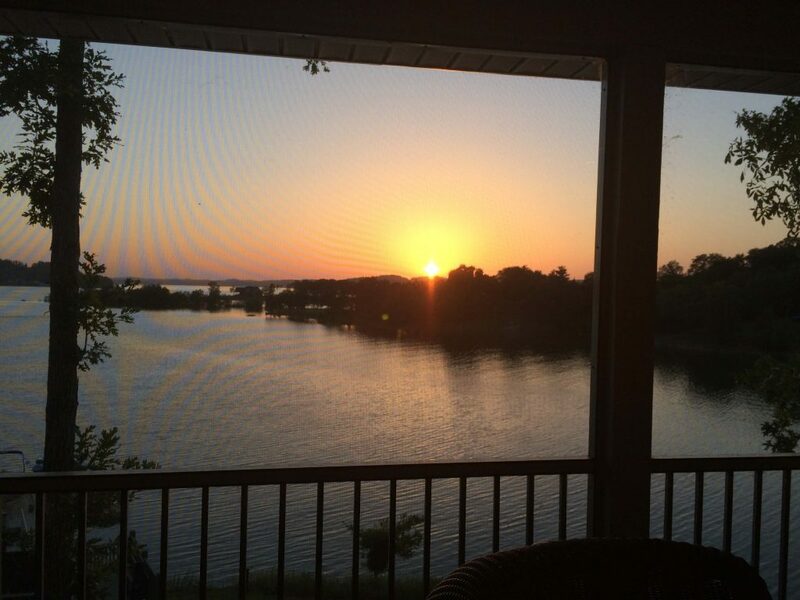 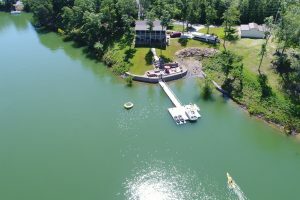 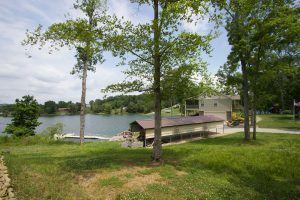 Fort Sunsets is a wonderful 5 acre retreat, located lakefront in Dandridge. 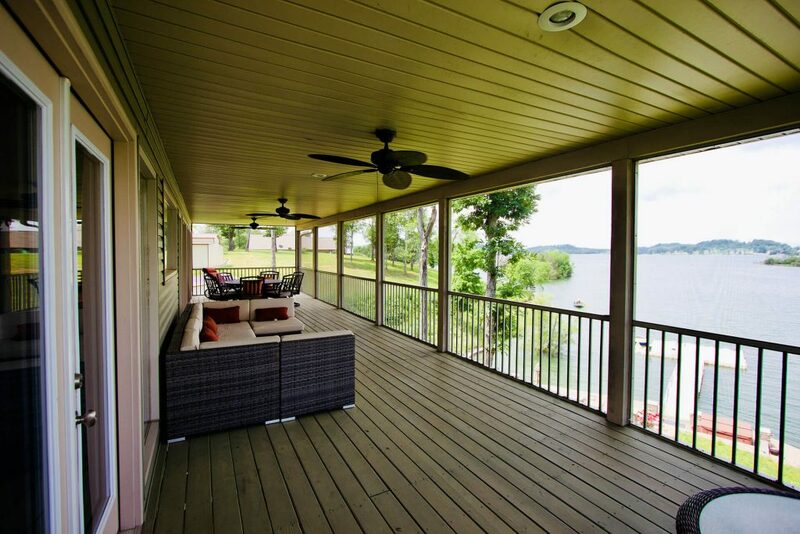 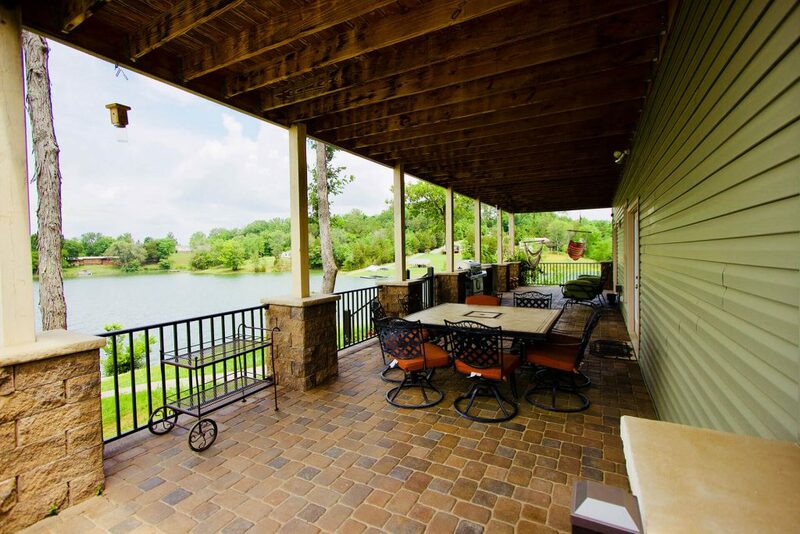 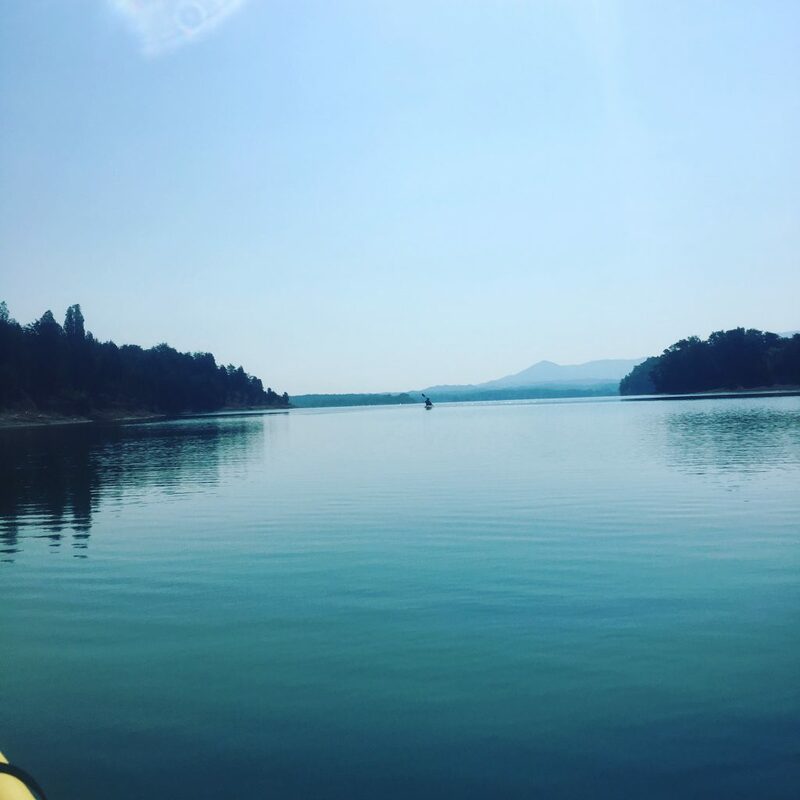 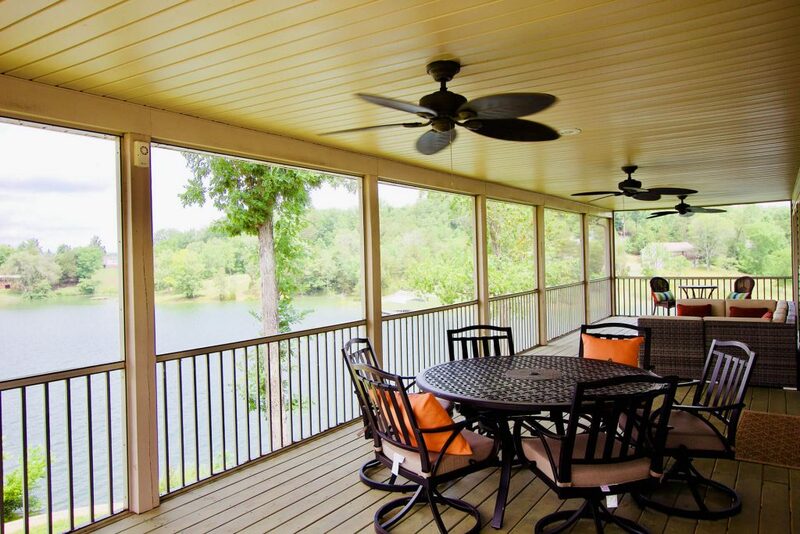 This home is year round lakefront with a dock that floats till late October. 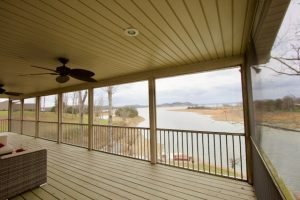 Featuring 2000 sq ft of indoor living space and 1000 sq ft of decks all overlooking the main channel of Douglas Lake, this home leaves little to be desired. 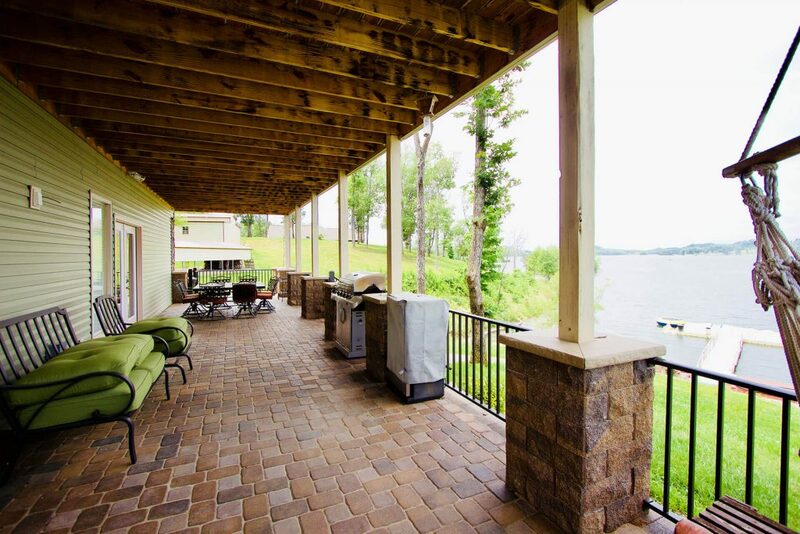 Immaculate landscaping, cobblestone steps to the water with very gentle access for kids and older folks who may have walking issues, large wooden playground in the yard for the kids to enjoy, large paver patio lakeside with furnishings, hot tub and fire pit. 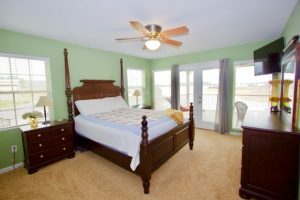 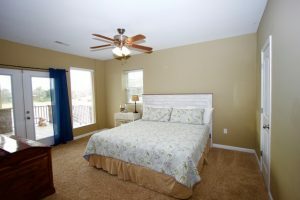 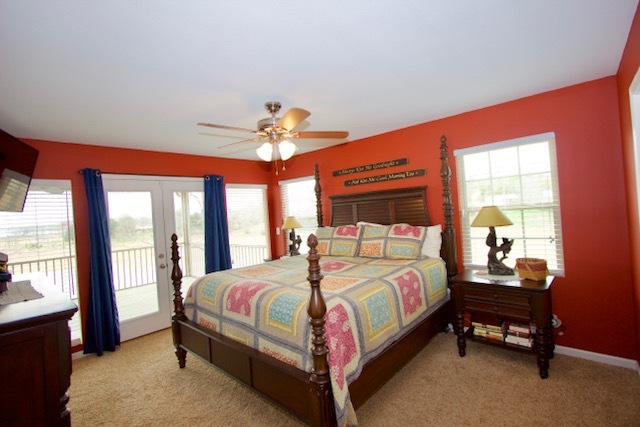 The home has 2 King bedrooms main level with insute baths and 1 queen bedroom lower level with insuite bath. 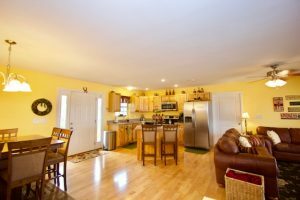 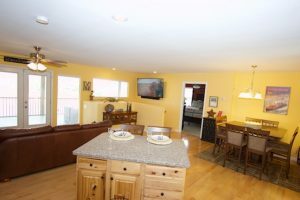 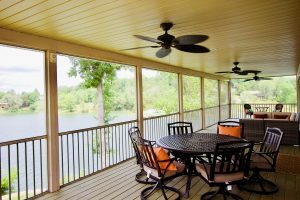 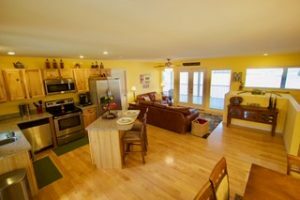 Large kitchen dining den combo opens to the massive screened deck overlooking Douglas Lake as well as both bedrooms have access to the deck. 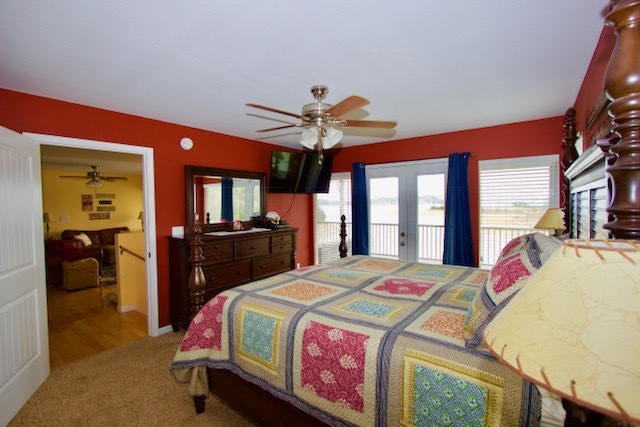 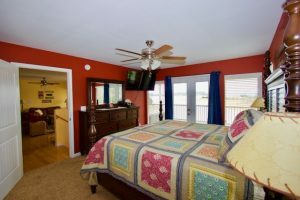 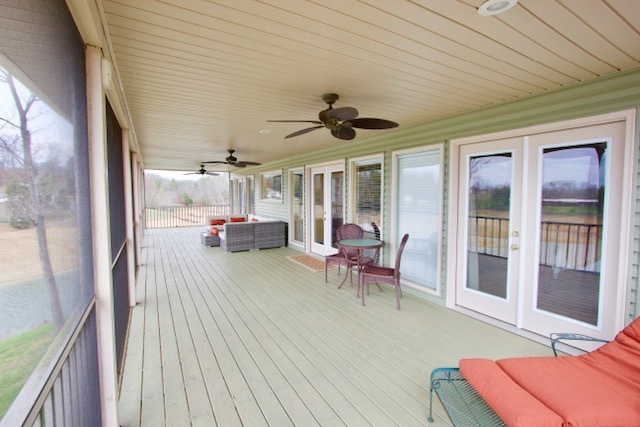 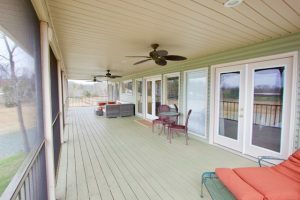 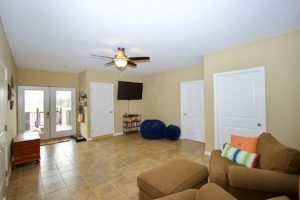 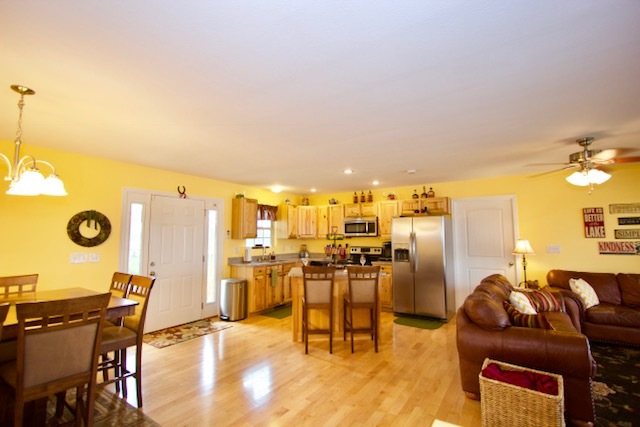 Downstairs features a den that opens to the lower level deck and bedroom with deck access.